Its one thing to hear about it from a scrub like me, but its a whole other thing to talk gear with a guy who lives and breathes the lifestyle we all aspire for. Adam Matthews is in the Reds system, and at 23 years old has a résumé that a lot of Big Leaguers couldn’t touch. Matthews is a former South Carolina Gamecock, team captain, back-to-back National Champion (2010-11) and once runner-up (2012). He won the NCAA Columbia Regional MVP in 2012, and made the All-Tournament team, too. Long story short, the guy balls. 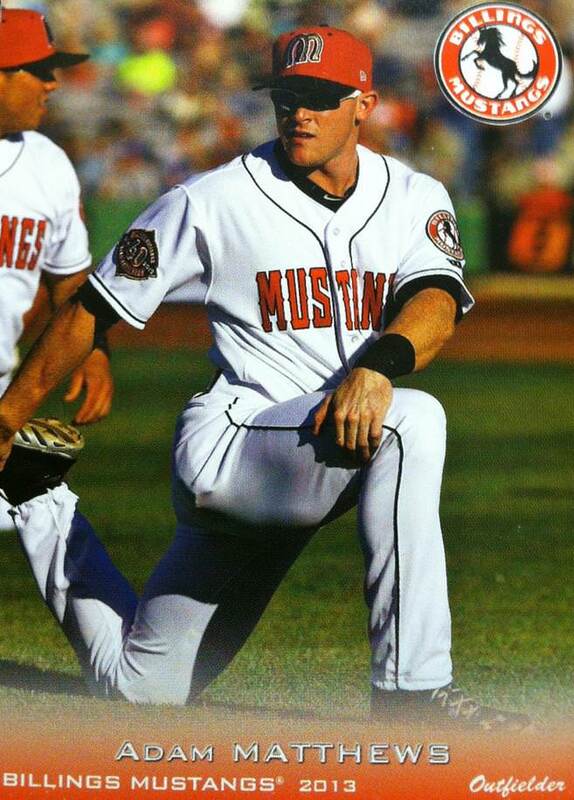 He’s currently tearing through Pioneer League meat for the Billings Mustangs (Reds), having driven in 15 runs with a .350 BA in the last 10 games. Adam is also a fan of WPW. It might be sad that I remember this, but he was the first pro to follow us on Twitter (which is my only real way to know when someone is paying attention). 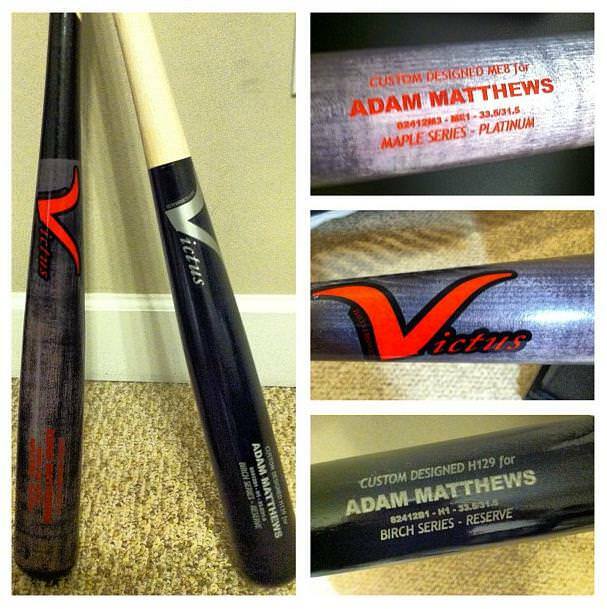 Today, Adam is giving opposing pitchers a break to sit down for a chat with Jake at WPW about the gear and the grind. Enjoy. Thanks for taking the time out of your schedule to talk to us Adam. Lets cut right to the chase, tell us about what model glove you use as an outfielder, and what kind of cleats, too. I use a 12.75” Rawlings Pro Preferred glove with a modified trap-eze web and conventional back (custom built off the PROS303). I used a Pro Preferred back in high school and switched when I went to the University of South Carolina and had to use Easton. 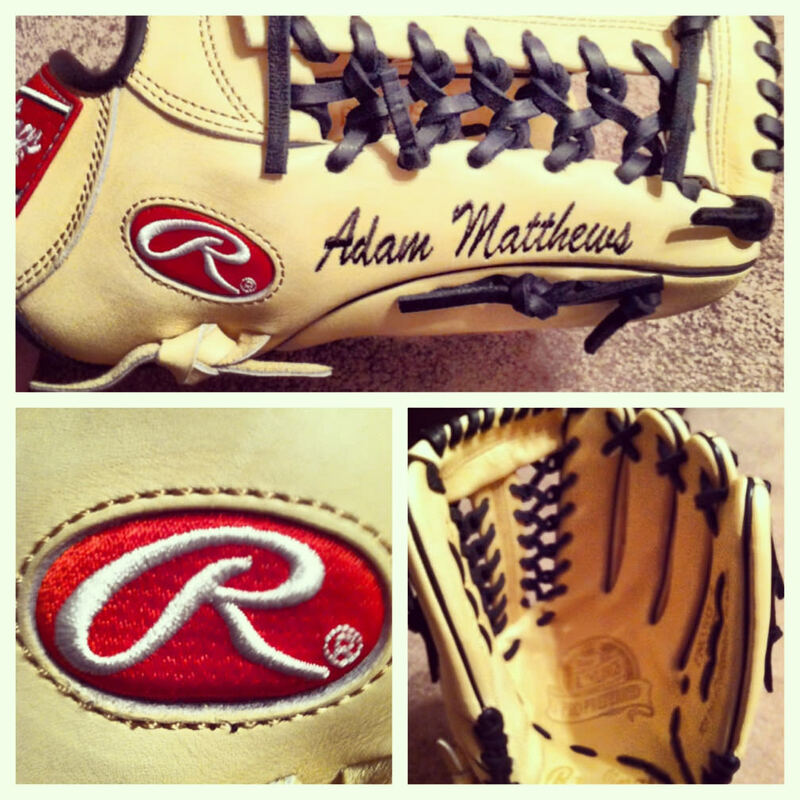 After my sophomore year, we switched to Rawlings and I am still a huge fan as I was in HS. I prefer the Pro Preferred leather over the Heart of the Hide simply because it doesn’t feel cheap. It takes longer to break in but it will last a lot longer with the right care. As far as cleats are concerned, I have tried a few different pair. In college we wore Under Armour cleats and they weren’t bad by the time I got to my senior year. With this said, UA has done a great job in bettering their product over the last four or five years. They have really given baseball players what we need in a cleat. Since signing with the Cincinnati Reds, I’ve tried out some Mizuno cleats and Nike as well. Right now I rotate between the UA Spines and the Nike Air Huarache 2KFresh cleats. The UA Spines are by far the most comfortable cleat I’ve worn and have also heard the same comment from other players. In the future, I do plan on trying out some New Balance cleats as I have heard that theirs are hard to beat in terms of comfort. I also wear a pair of Oakley Flak Jackets (white with black ear socks). Beautiful glove, and its interesting to hear that about the Spines. Any truth to the notion that a lot of professional ball players are switching to molded cleats over metal because they are more comfortable over the course of a long season? This is 100% true. Over the course of six or so months and 140+ games your feet can get pretty tired. As an outfielder, and being in the minor leagues, I don’t like wearing molded cleats for games simply because all the fields are not in the best shape and when the grass has dew on it, risk of injury goes up. I do however, use molds for batting practice and whatever other drills we may do during the course of the day. A lot of infielders and catchers do in fact use molded cleats though. Pitchers, obviously, do not. I came across a picture of a game used Old Hickory on your Twitter account. I swing the same bat actually (just not as well) and was wondering, why did you decide to go with an Old Hick? Old Hickory is a great brand and makes some very quality bats. I started the year out using them simply because I got 10 for free. I don’t have an agent so when you get a deal in the minor leagues, you rarely pass it up. I had a few models I liked and some I didn’t but after breaking the ones I did like I have swung a couple of other brands. Louisville always produces quality wood and I have used some T141s that I really like. I have also used some Rawlings as well as Victus and I’m currently swinging a B45 141 and it has done the job recently. As a hitter, you obviously want to swing whatever is most comfortable for yourself. There are hundreds of models out there and being in my first full year in pro ball, I am still sampling a lot but what I keep going back to is the 141s. Judging by your recent tear, I’d say the B45 is performing nicely. I wouldn’t change a thing! Ballplayers are known to be quirky—borderline nuts. No better example of that than Justin Verlander eating Taco Bell before every start. That’s just completely absurd. It doesn’t have to be that ridiculous, but do you have any quirks like that gear-wise, or any brand you are extremely loyal to? I wouldn’t say at this point I have an extreme loyalty to a certain brand. I like to try new things and will sometimes rotate brands of gear. Like you said, baseball guys are nuts and very superstitious. If a certain bat or batting glove isn’t getting the job done we certainly will switch. I will say though, I have stayed with the Rawlings glove and keep going back to Franklin batting gloves. Can’t argue those choices. In terms of style, is there a guy or guys that you have modeled your gear/game after? Growing up I was a huge Chipper Jones fan and always wore Mizuno because of him. I guess in a way, that’s why I went with Mizuno earlier in the year but wasn’t very pleased with what I wore. It didn’t feel as comfortable as it did in high school or before. At this time in my career, I’m finding what I like best and what fits me. I’ll try new gear and if I like it, I’ll wear it. If not, I won’t. All right here is something I’ve always wondered, what is the standard issue first day of Spring Training as a minor leaguer? Are some guys getting more than others? That all depends on your agent or if you even have an agent. Most guys will usually have a shipment in their locker with bats, gloves, cleats, etc. from their agency. Some will have nothing. Being a senior sign myself, an agent wasn’t needed during the draft process so I simply order whatever I want when I want it. For the time being, I just have what I order delivered to our Spring Training complex in Arizona and it will be in my locker when I get there. How does the gear you get now as a professional differ from what you got as a South Carolina Gamecock? 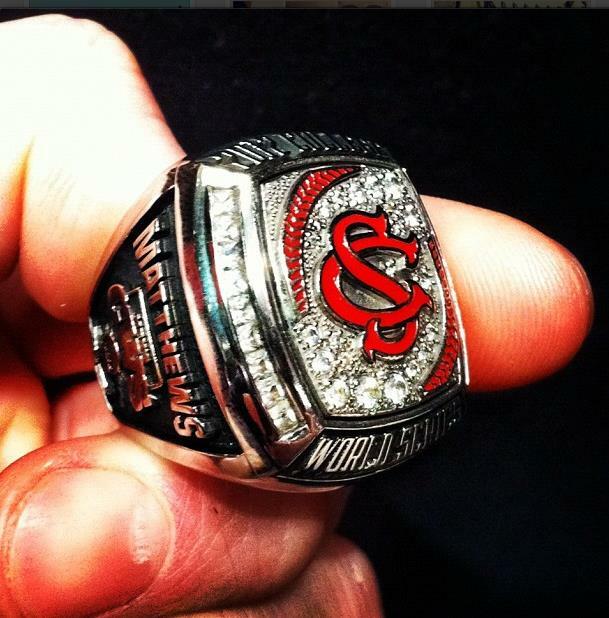 Also, did you guys start getting more gear after you won your first College World Series? College was so much better. Not having an agent means I order it just like the general public does on the internet or by phone, which is what most minor leaguers do. In college, we were an Under Armour and Rawlings school so whatever we needed was at the field and in our locker. Everything was “free” in terms of equipment. Free is used lightly there because there is a limit. We couldn’t get a new pair of batting gloves every game or anything like that. We had what we needed and got treated well by our equipment staff. After winning a National title, we didn’t get much change in gear. We got a few shirts with the national championship logo on it but all of that is on a certain budget through the NCAA. Just because you win doesn’t exactly mean you have gear “thrown” at you. There is that one simple “extra benefit” thing the NCAA always refers to but that’s a different story. Don’t get me started on the NCAA. Some of that stuff makes me want to pull my hair out. Anyways, are there guys in the minors that have deals with companies like Rawlings or Marucci, or any other of the major brands we see nowadays? If so, what is that like, can you tell us any details? Deals with major companies like that usually come through your agent. If you are a high pick, especially first round, your chances of getting these deals are a lot higher. I know some guys who have a Rawlings deal and they get two gloves a year. I know a couple guys with Under Armour deals as well. They get all “on field” equipment free and have a certain amount of money to spend on other gear. Nike, from what I hear, is a tough deal to get. Usually they don’t look at guys lower down in the minors. Big prospects and AA, AAA, MLB guys have the best chance with Nike. Going back over your entire career, which teammate of yours has had the best gear all around? Tough question. I can’t say anyone really stands out since my professional career began. Guys at the lower level usually just wear what is available or what their agent sends them. Rarely do you see someone decked out in UA gear, Nike or anything like that. Guys will occasionally have a cool pair of cleats or nice looking glove but that’s about it. Lastly, I know you’re a gearhead and have been following WPW since the beginning, but is anybody else in your clubhouse/league catching on to us? I believe over time more and more guys will certainly catch on. We all like gear and also like knowing what is new that guys are wearing. WPW is a place where you can find all that information. I really do enjoy looking at the website. We really want to thank Adam for sitting down with us. Give him a shout on Twitter or Instagram, and lets hope we see him patrolling the outfield at Great American Ball Park very soon.